Modern manufacturing industry has to meet two different requirements that pull in opposite directions: shortest time to market and cheapest design and production process. In such a context, virtual tools are becoming more and more important. From big companies to freelance consultants, the shift from prototyping and real tests to virtual modeling and simulation is an unstoppable trend. Problem is that these tools cost, a lot! This is the reason why partnerships as the one between Onshape and CONSELF are going to play a game changing role. A wide slice of potential users have been kept outside this technology circle. Lately, with the so called “Software-as-a-Service” revolution, cost barriers are being disrupted, making these tools available to everyone. 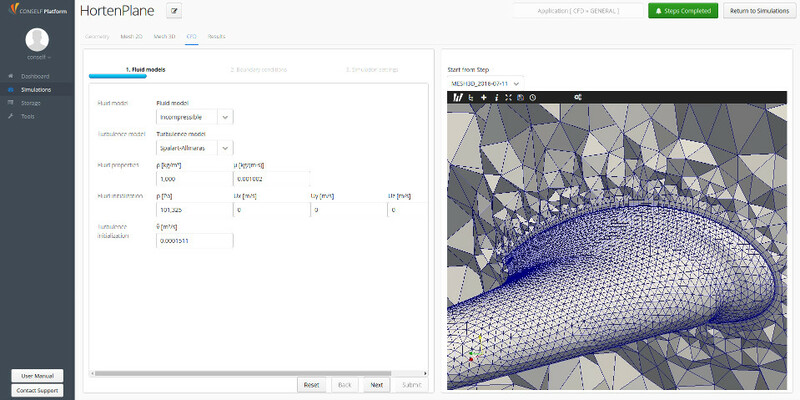 Two basics components of this chain are CAD and CAE software, being the modeler and the simulator respectively. Onshape and CONSELF are two examples of this “democratization” process: with the SaaS approach, their vision is to allow every professional to take advantage of state of the art, modern design technologies. Onshape is a full Cloud CAD. 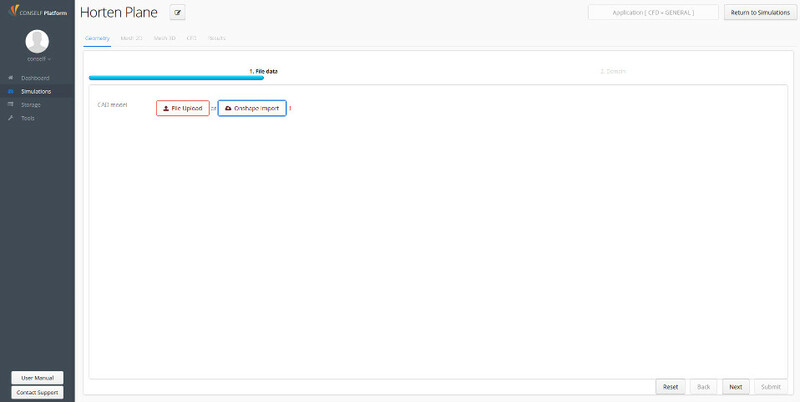 Actually it is more than this, it provides the users with an integrated environment where to manage many different aspects of the design process, from documentation to prototyping. 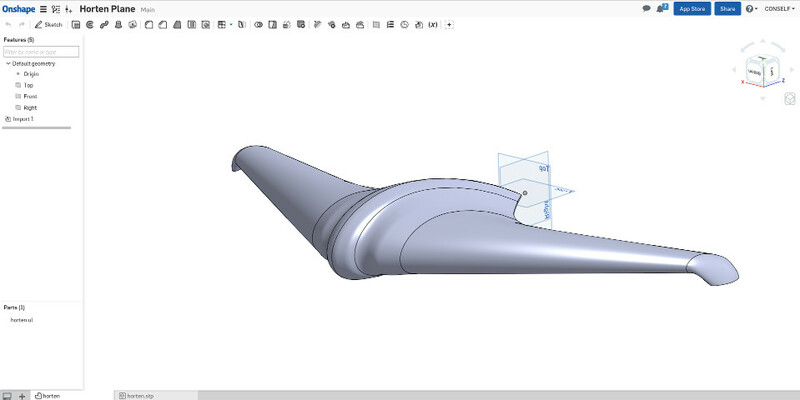 You can create a new CAD from scratch with common tools like sketches and cut/extrusion features, up to complex elaboration. 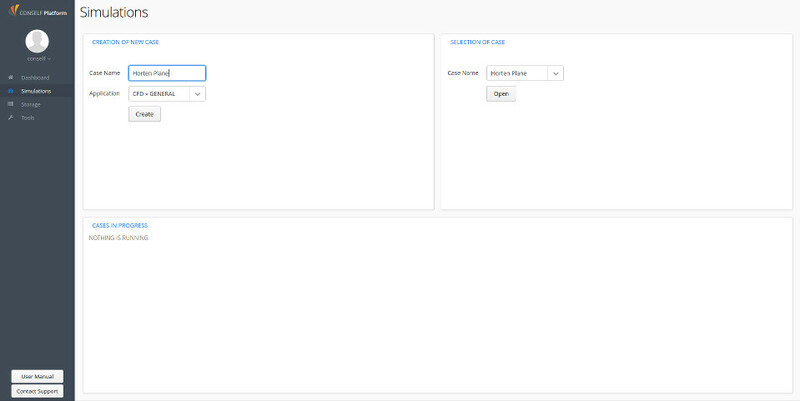 You can also import your own CAD file, it accepts a large range of formats. In our case we uploaded a STEP file of the “Horten Plane”, you can see it in the first image below, it is a public document you can access it here. One of Onshape main features is its AppStore, where you can find a lot of third party applications that are integrated with it. CONSELF is one of them. 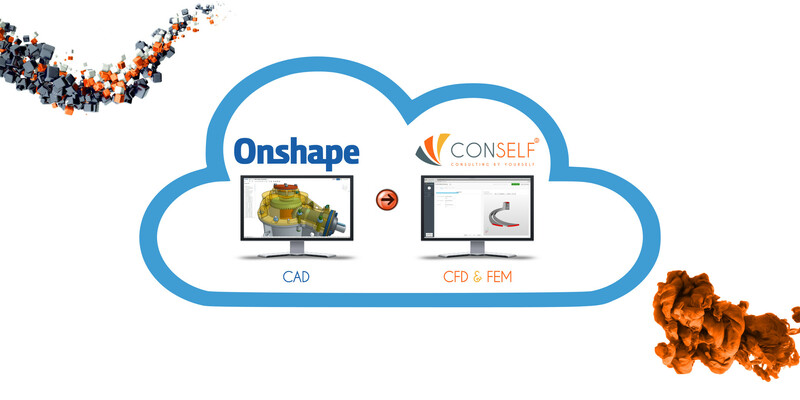 The integration between CONSELF and Onshape is named “Connected Cloud App”, meaning that from CONSELF Cloud Application you can directly import your Onshape model. In order to access CONSELF you can click on “Go to Connected Cloud App” link and you will be redirected immediately. 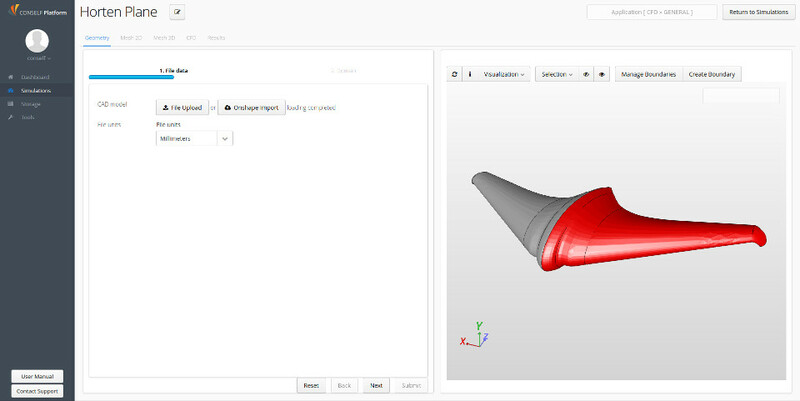 Once you are inside CONSELF Simulation Platform, you can import your geometry from Onshape and setup your analysis in few clicks. First thing to do is to create a new case: from the “Simulation” tab choose the application and give your case a name (first figure below). 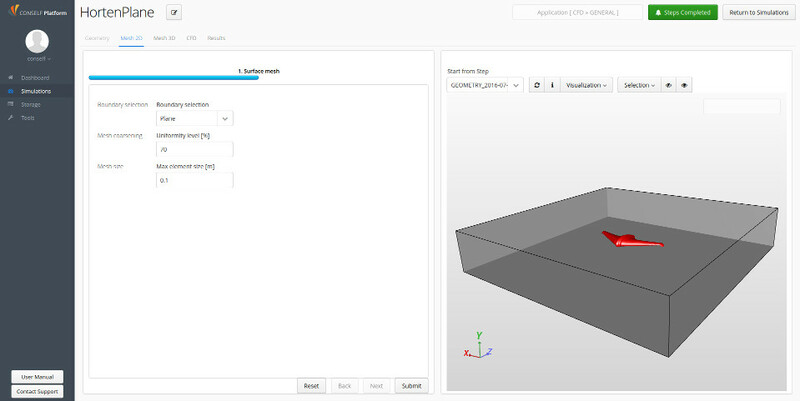 When inside the new case, you have to navigate to your Onshape documents: click on the “Onshape Import” button (second figure below). 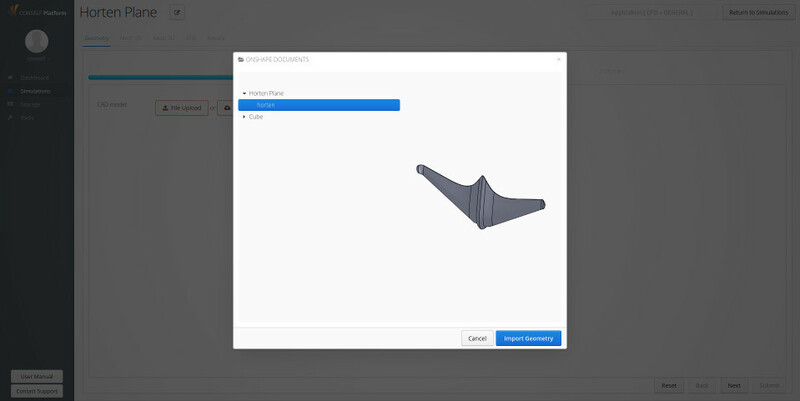 In the new window, you have to select the file you want to import: log in with your Onshape credentials, choose the CAD model you want to import from those stored on your Onshape account and click on the “Import” button (third image figure below). 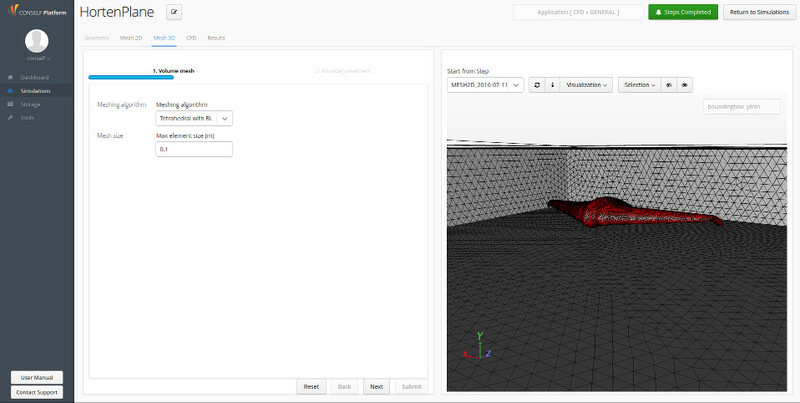 Once the upload terminates, you will be able to see your CAD in the graphical window on the right inside CONSELF Simulation Platform (fourth figure below). 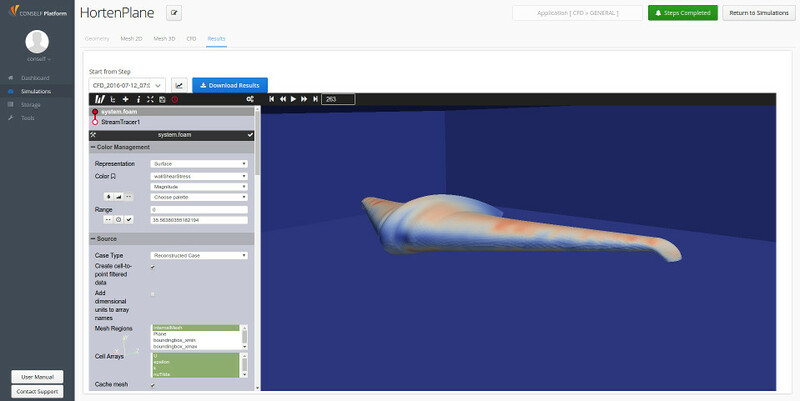 As the simulation ends, you are able to analyze your results directly online with our integrated post processor. The images below show typical plots for this type of simulation: pressure distribution, velocity variation and wall shear stresses, a measure of friction on our plane. 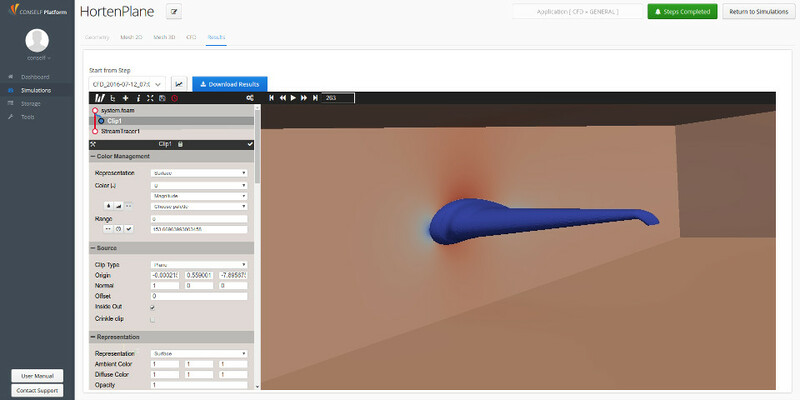 Many more insights can be obtained with the wide range of tools available online, giving you a very powerful instrument to analyze your product performances starting from a CAD model. 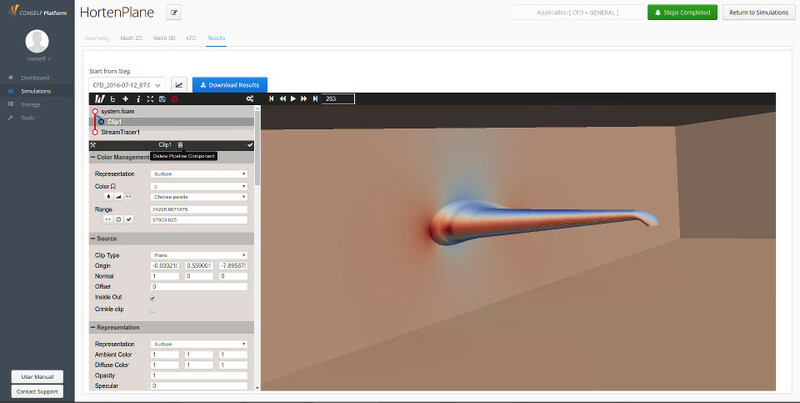 It is important to highlight that the entire process, from CAD modeling to CAE simulation, have been carried out through a common web browser. No application installed, no powerful hardware required, no download & upload involved. 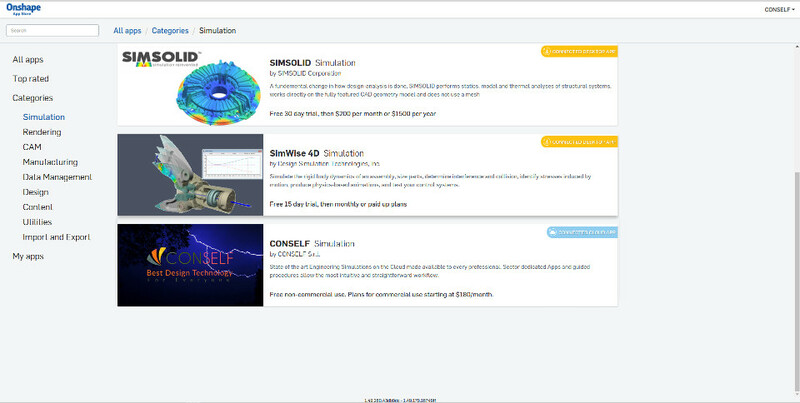 Onshape and CONSELF both have free plans that make you able to start your own modeling and simulation immediately. The complete process has been shown in one of our webinars (full list of past events available here). 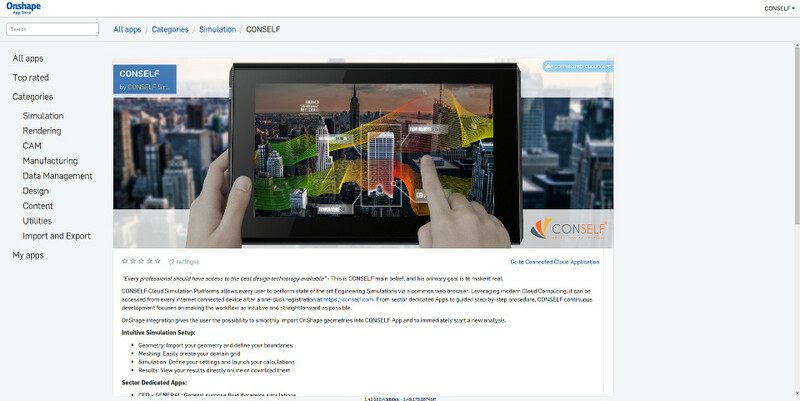 Below you can find a 35 minutes video of the webinar that will guide you step by step to the correct setup of a complete, state of the art, simulation. Remember: you can sign up for the free plan in two clicks from this page.